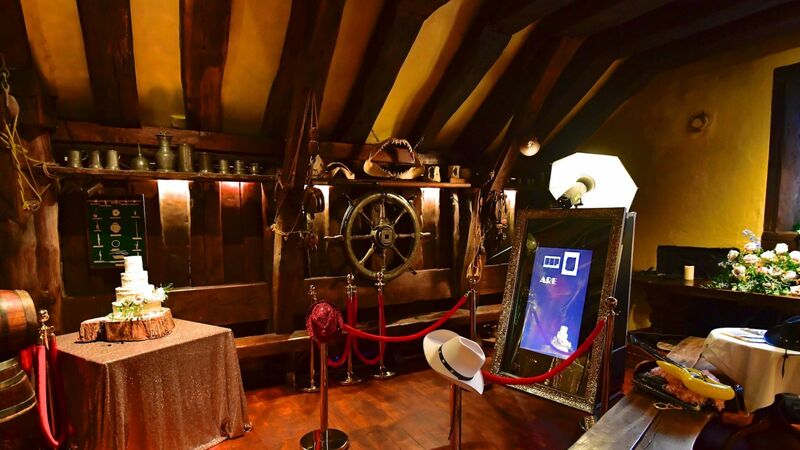 Start your evening with a drink in our impressive, Spanish Armada Bar, a dramatic recreation of the Captains Ward Room from a Spanish Armada Galleon from Great Oak Balks salvaged from shipwrecks. 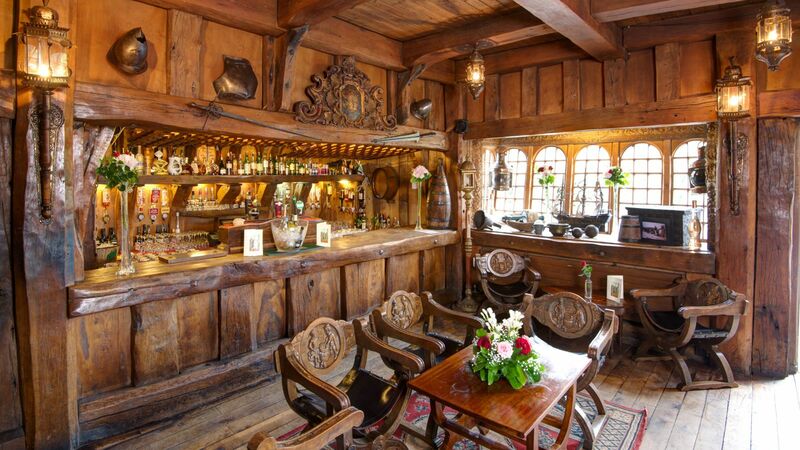 Marshall Doran constructed the Spanish Armada Bar in the 1960's and used wood from a Spanish Armada Galleon shipwrecked in Streedagh Bay, County Sligo in 1588 and also used timbers from the Sine Barque which was wrecked on Bertragh island, County Mayo in 1927. The bar flows into the original drawing room of the Knox-Gore family who lived in Belleek Castle in the 19th Century. The drawing room is now used as our lounge which is warmed by the radiated heat from the open log fire in the original marble fireplace, sporting the Knox-Gore coat of arms. Visitors can come and relax in the lounge, have a drink in our Spanish Armada Bar or order some food from our Casual Afternoon Menu. The Casual Afternoon Menu is available from 2.30 p.m. where visitors can get light bites such as soup, sandwiches, salads, traditional afternoon tea, scones, tea and coffee. Traditional Afternoon Tea must be booked in advance and is available from €22 per person. Jack Fenn's Courtyard Cafe is situated in the restored 19th courtyard at Belleek Castle. The cafe is housed in the former stables & coach house which was used by the Knox-Gore family of Belleek Castle. The original brickwork & character has been restored on the exterior of the building and the interior of the building has been given a modern design. The interior design of cafe also reflects the life of Jack Fenn, a sailor & adventurer! The cafe is open daily from 11am till 5pm! There once was a smuggler called Jack Fenn! Who got himself into a tight spot! Jack bought a passport from an Irishman called Marshall Doran and bought himself a castle! Come visit us at Jack Fenn's cafe which is just as intriguing as Jack was! 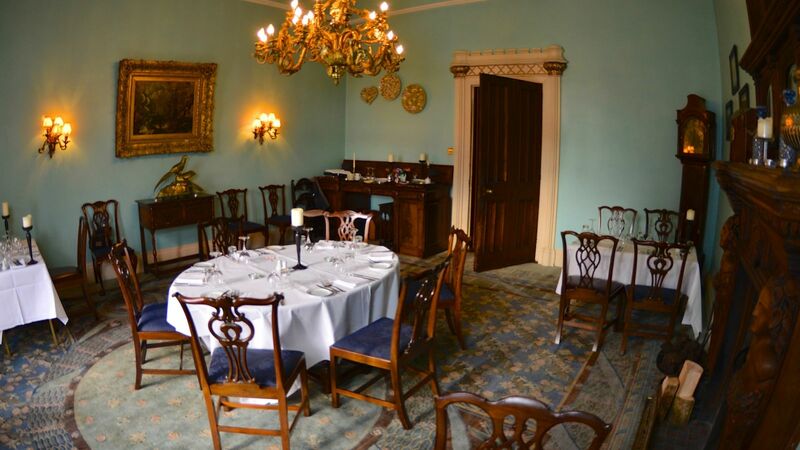 The award-winning Library Restaurant is the main dining room at Belleek Castle and it is set in the former library of the 19th century manor house. We still have the original 19th Century ceiling in the room and although all the books are gone you can still imagine the Knox-Gore family relaxing reading their books in this tranquil room. 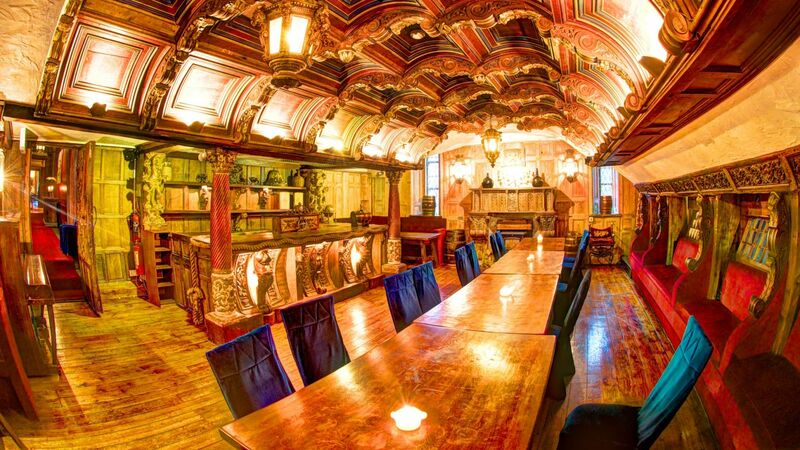 Marshall Doran made his own additions to the library and using medieval woodwork techniques converted it into an atmospheric dining room. This Library Restaurant has multiple menus available and is open from 5.30 p.m. till 9.p.m. The restaurant has won several awards in 2017 including the ‘Best Restaurant in Connaught’ award from the Good Eating Guide Awards. We have also won the ‘Best Customer Service in Mayo’ and ‘Best Customer Service in Connaught’ at the Irish Restaurant Awards or Food Oscars in Dublin. The Restaurant Association of Ireland (RAI) runs these awards every year. In previous years of the competition our team has won several awards in the past, including ‘Best Hotel Restaurant in Mayo’ and ‘Best Hotel Restaurant in Connaught’ for three years in a row between 2014-2016 as well as the award for ‘Best Restaurant Manager’ in 2014. We also won the Georgina Campbell’s, ‘Just Ask!’, Restaurant of the Year Award in 2014. The restaurant caters for large parties and it can also be used for smaller weddings for up to 50 people, as well as for civil ceremonies. Continuing on his maritime theme, the upper ‘Tween Deck" is a complete recreation of a Spanish Armada Galleon, brilliantly crafted by Marshall Doran, the sloping ships windows and antique wood paneled fireplace complete the illusion. The ‘Tween Deck" can seat 32 people for a private dinner and can also be used as a small but atmostpheric wedding venue. 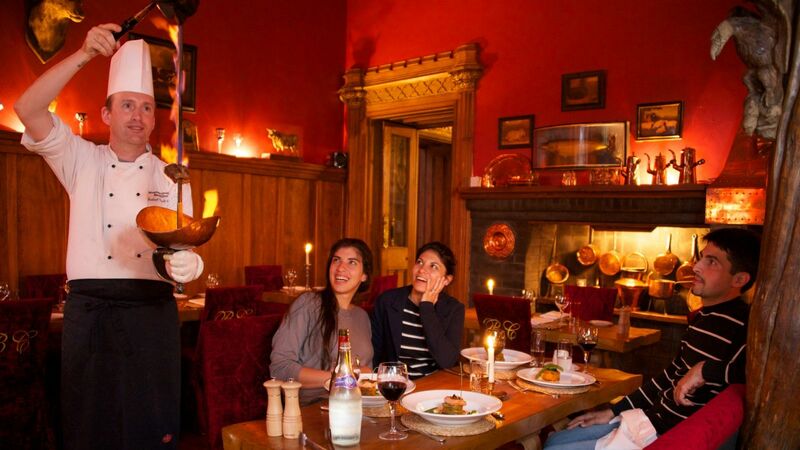 Overlooked by a massive 13th century Norman fireplace, this impressive Baronial Banquet Hall can host anything up to two hundred seated for dinner and four hundred free standing. 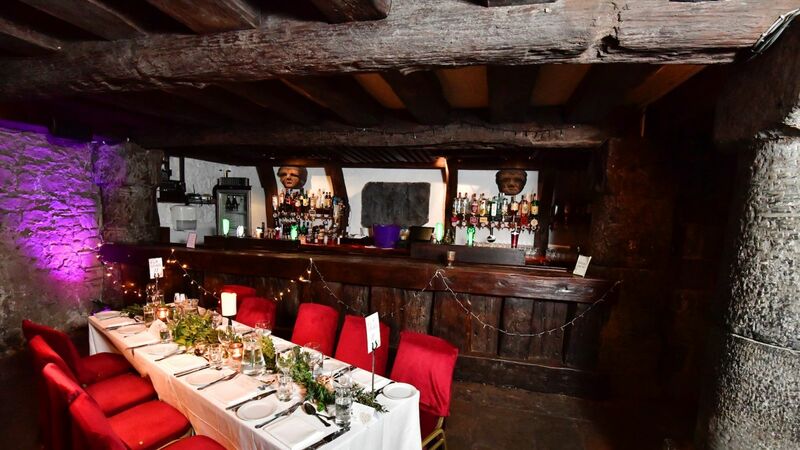 The magnificent 16th century carved oak paneling, dominates the opposite end of the Hall, making a backdrop behind the 21ft antique top table, and great photographic opportunities for wedding couples. A large dance floor is the centre attraction here where your private band will entice you to dance the night away. If you have joined us for a tour, you will be led on to the museum collection through here, to the Fossil Room & Armoury. A Castle Hire fee can be negotiated allowing you to use all of Belleek's facilities privately.